The Acemal Company has specialized in the construction of ovens for waffles and galettes since 1965. 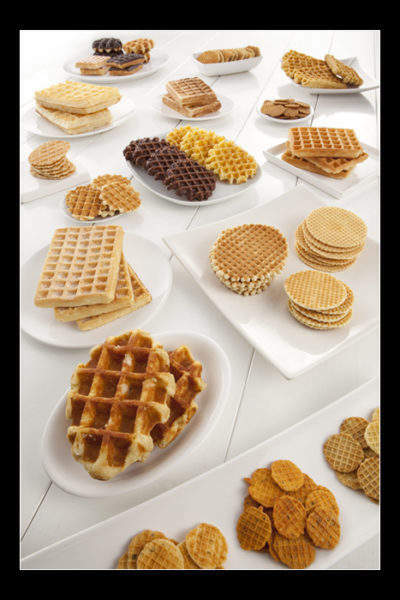 We provide installations for our customers worldwide, from the smallest to the largest industrial waffle manufacturer. 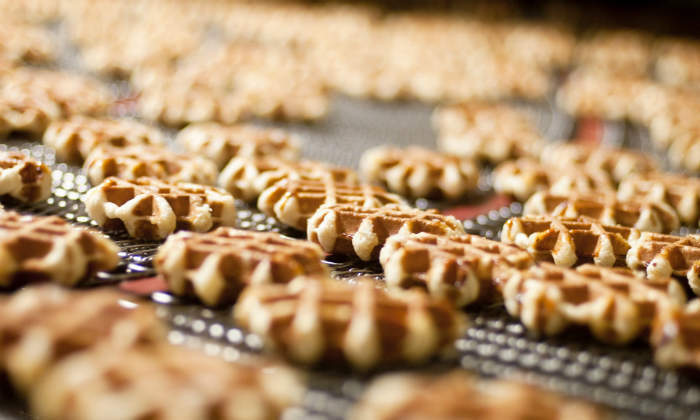 Our qualified team and our flexibility allows us to offer tailor made solutions to all waffle makers. The care and attention given to the carrying out of installations has, over many years, earned us the confidence of our customers. 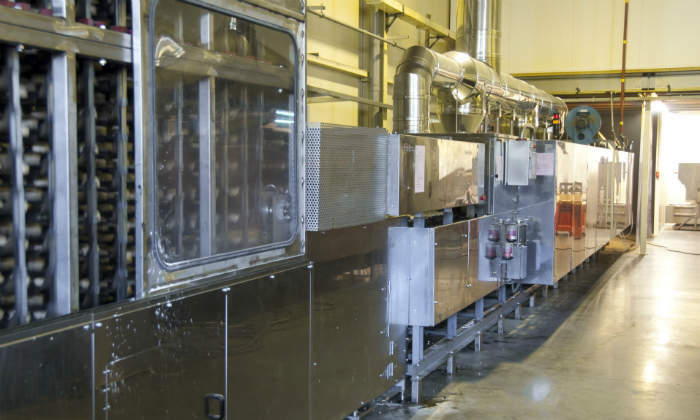 Our tunnel ovens have a production capacity of up to 30,000 pieces per hour and an effective length of four to ten metres. 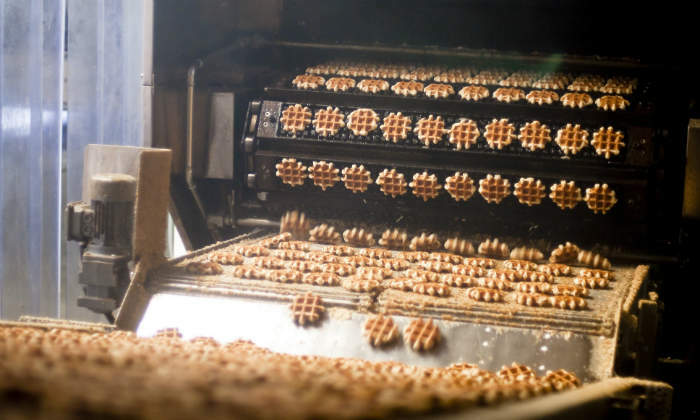 The waffle moulds are in special cast iron and the ovens are equipped with colour touch screens, automatic temperature control systems and oiling systems. 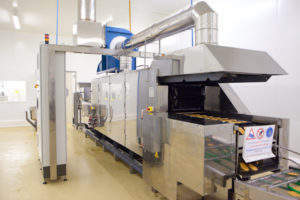 The ovens are provided with a device for dividing firm dough into pieces and an automatic extractor for removing the biscuits or waffles after baking. The standard version of the semi-automatic waffle oven comes with 20, 24, 30 or 36 waffle irons and natural gas or propane heating. 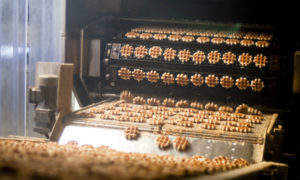 Production capacity is between 1,000 and 8,000 waffles per hour, according to size and baking time. 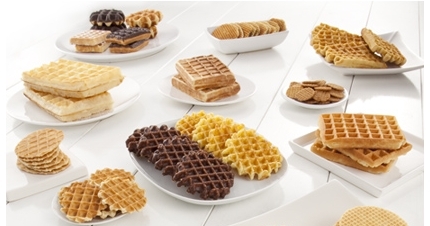 The interchangeable character of the waffle irons means that the semi-automatic waffle oven can produce all types of waffles. It is also possible to equip the ovens with an injection device and a drum to remove the waffles after baking. The standard version of the entirely automatic waffle oven comes with 48, 60, 72, 80, 88 or 90 waffle irons and natural gas or propane heating. 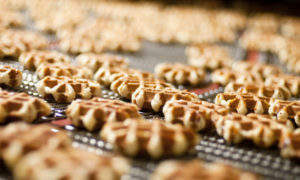 Production capacity is between 10,000 and 30,000 waffles per hour, according to size and baking time. 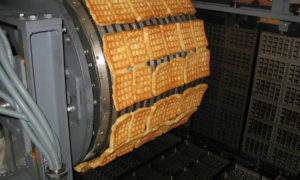 The automatic waffle ovens are provided with a dosing system for filling the waffle irons and a drum to remove the waffles after baking. Cooling system: belts, spirals of cooling chamber. In case of a cooling chamber, we give the opportunity to integrate an accumulation system type “buffer”. 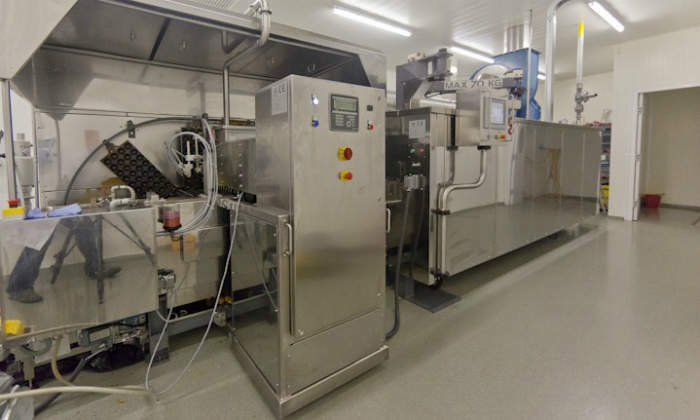 An extremely compact cooling system in width and length, the products remain aligned during the whole process, allowing a shorter and more constant packaging. The range has a capacity of production between 5,000 and 30,000 waffles per hour, according to size and baking time. 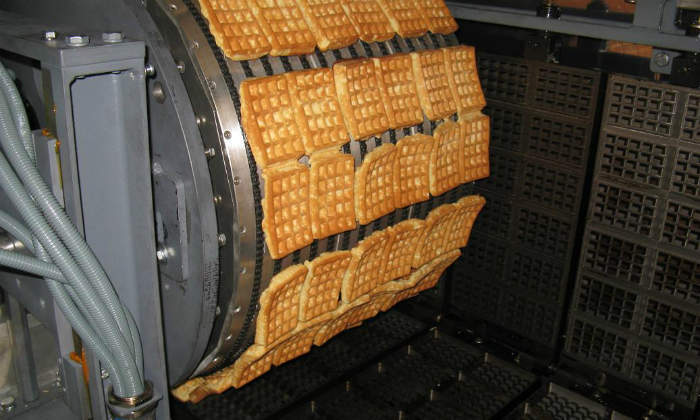 These lines are built on size, according to the desired capacity of production and the size of the waffle. 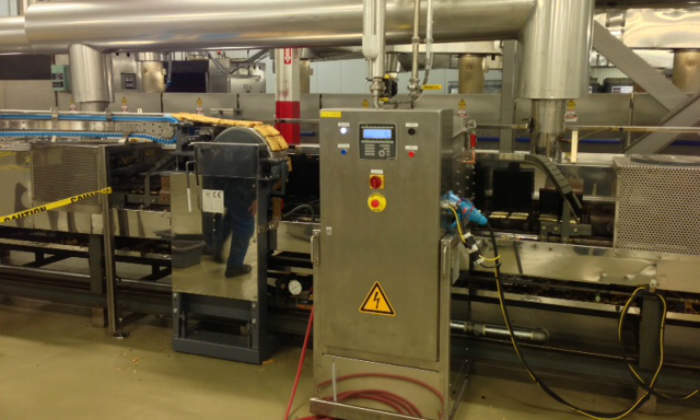 The Acemal Company specialises in the construction of industrial equipment for the cookies industry and more specifically for the waffles industry.